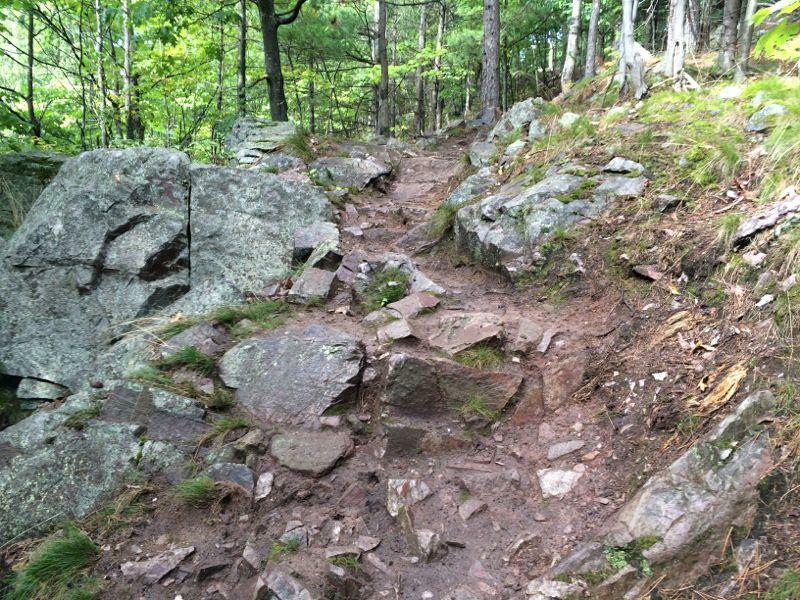 Aggressive rocky trail with equal climbing to descending. Rock gardens, bridges and great seasonal views of the town and Lake Superior. Review: Rocky, fast, technical, steep climbs, long descents are all great ways to describe this 4.6 mile black diamond trail. Some sections are punchy while others are long drawn out technical descents. Definitely a great trail for todays all mountain bikes. The trail is marked with blue signs, don't let that fool you its a beast. Also there are "section" names like "gurly trail" and "Doctors" that are in place to remind you of where you had fun while telling people later. Mt. Marquette Loop MTB Trail 5.00 out of 5 based on 1 ratings. 1 user reviews.